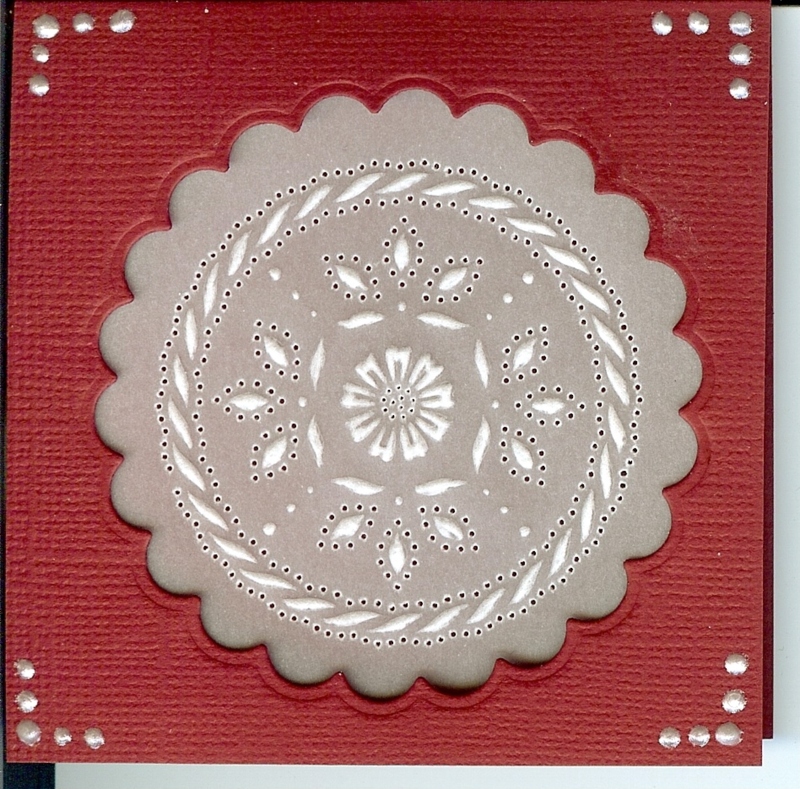 I've made the following Parchment Craft (Pergamano) samples using the Pergamano Multi Grids. 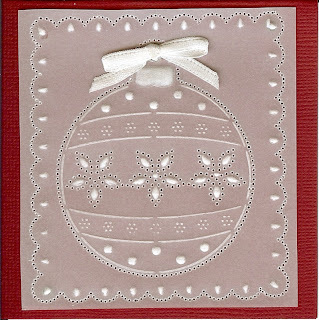 These metallic stencils are used with embossing and piercing tools on parchment (a bit heavier than vellum) to create very pretty and delicate designs. I really love the look. 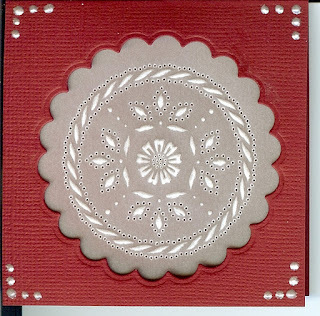 I just love the way the flower came out, as well as the design around it! 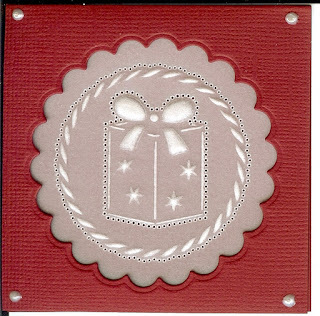 This pretty gift card would dress up any present. 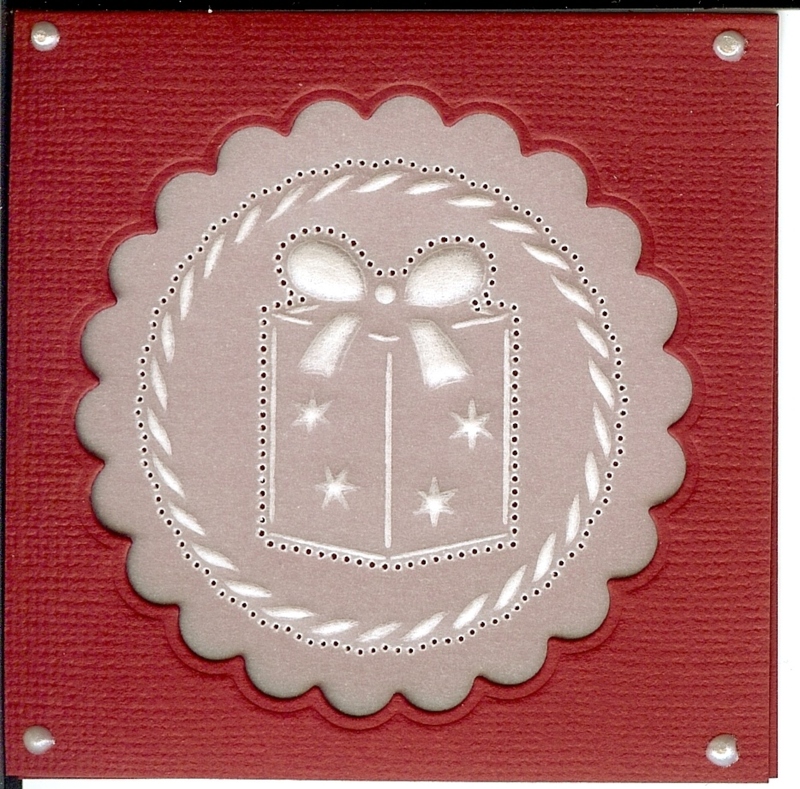 And this is a sample of the one you can create tomorrow. 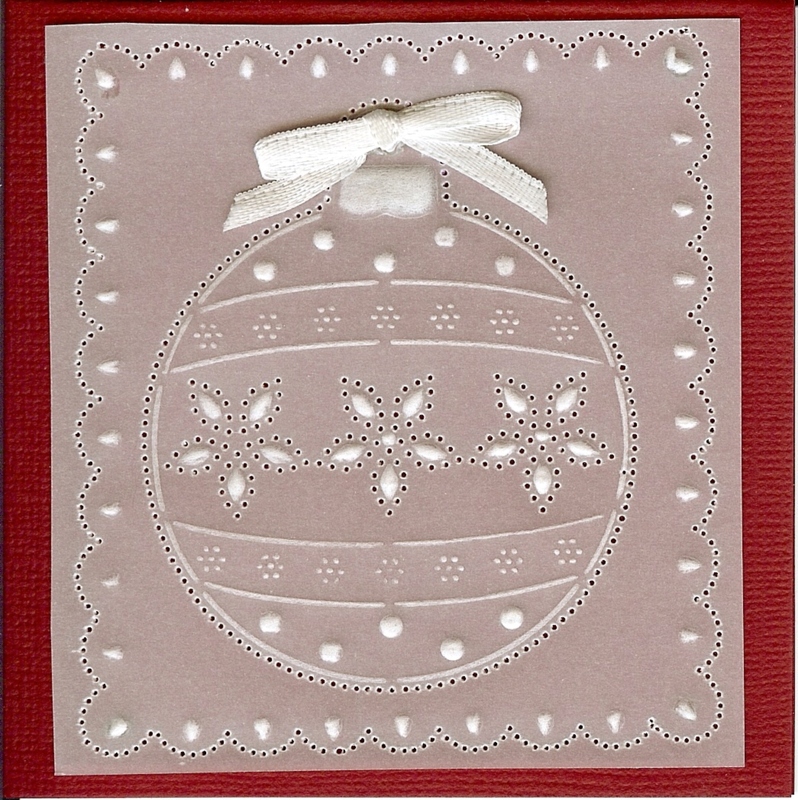 You get to learn some basic techniques and still come up with a very delicate & beautiful card.